It’s been almost 50 days since the Executive Branch of our government changed hands, and within that short period of time, the wheels of environmental policy have begun a not-so-subtle shift in the opposite direction. First there was the green lighting of high profile and highly controversial pipeline projects like the Dakota Access and the Keystone XL, then the proposed gutting of the EPA and the confirmation of a climate denying oil lackey to run it. The implications of the Trump Administration’s environmental agenda are far reaching and damaging to many facets of the outdoor industry, and the fly fishing community hasn’t dodged the bullet. From their efforts to repeal the Clean Water Rule to their apparent support of an Alaska gold mining operation that, according to the EPA, will have “potentially destructive impacts” on the world’s largest sockeye salmon fishery, the hits from Trump and his allies in Congress to the future of America’s clean water fisheries just keep coming. Here are a couple of environmental threats worth keeping an eye on. 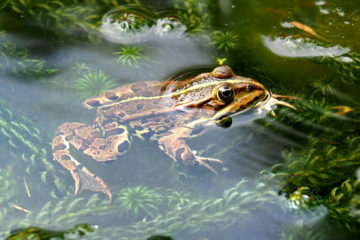 Currently, the assault on clean water and stream protections in the United States is coming from two primary angles—the repeal of the Clean Water Rule, put in place in 2015 to extend stream protections under the1972 Clean Water Act, and the repeal of Stream Protection Rule, which prevented coal companies in Appalachia from dumping the toxic byproducts of mountain top removal mining directly into the valleys below. The latter has already been wiped from the books, while the former appears to be on its way out. Bristol Bay sits at the eastern-most arm of the Bering Sea in Southwest Alaska. It is the largest and most productive sockeye salmon fishery in the world. In addition to a robust recreational fly fishing industry, it supports a commercial salmon fishery worth upwards of $1 billion. 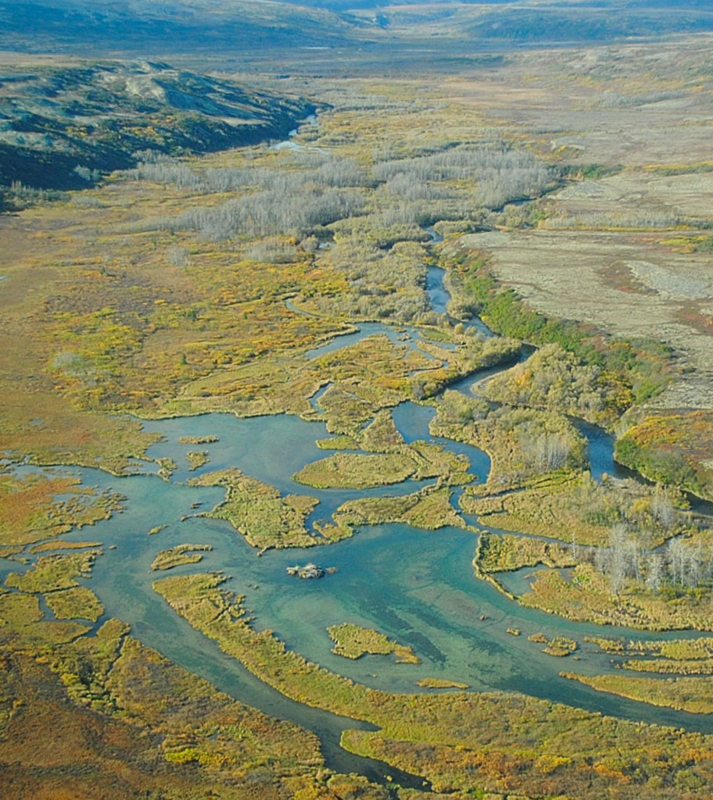 The Bristol Bay watershed’s streams, wetlands, and other aquatic resources support world-class, economically important commercial and sport fisheries for salmon and other fishes, as well as a more than 4,000-year-old subsistence-based way of life for Alaska Natives. When the Sockeye are running in Bristol Bay, it is a sight to behold—one that Alaskans refer to as “Red Gold.” So it’s painfully ironic that this “Red Gold” phenomenon stands to be severely diminished by a major gold mining operation called the Pebble Mine. If constructed, Pebble Mine would bury miles of critical spawning streams under mine waste debris while removing water from nearby rivers that are critical to the health of the surrounding ecosystem. Pebble Mine has been extremely controversial since day one of its proposal, and back in 2014, officials at the EPA had the foresight to protect it under the auspices of the 1974 Clean Water Act. But those protections have been in limbo ever since Northern Dynasty, the company behind the proposed gold mine, claimed that it had the support of the Trump Administration to move ahead with its destructive extraction plans. Whether or not this is actually the case remains a matter of speculation, but given Trump’s recent environmental track record and the dismal track record of EPA head Scott Pruitt, anglers, conservationists, and environmentalists all have legitimate reasons to worry. However, unlike like the repeal of the Stream Protect Rule and the Clean Water Rule, which is all but a done deal, there is still time for fly fisherman to make their collective voices heard when it comes to the continued protection of Bristol Bay and its thriving salmon populations. You can make a donation to the efforts to stop the Pebble Mine here and let the EPA know how you feel here.